The Ministry of National Resources will hold the Conference on the European Qualifications Framework in Danubius Hotel Helia Conference Hotel**** in Budapest. English, French and Hungarian interpretation will be provided during the plenary session of the conference. One workshop will be interpreted to the same languages, the others will be held in English. You are kindly asked to register via an online registration system from 4th April, 2011 until 29th April. The address of the conference's website is: http://tempus.tpf.hu/eqf. The password is given in your invitation letter. You will receive an automatic reply about receiving your registration. You will get a second answer about the confirmation of your registration. The cost of your hotel accommodation will be covered as specified in your invitation letter. The venue of both the accommodation and the conference will be Danubius Hotel Helia Conference Hotel****. 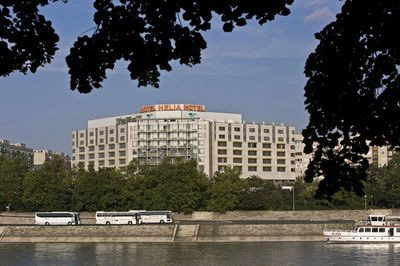 As for extra nights and delegates, one night at Danubius Hotel Helia Conference Hotel**** costs between 79-89 EUR exclusively for the participants of the Conference on the European Qualifications Framework. You will be provided in the confirmation letter with the hotel accommodation booking link. You can directly go to the AirportShuttle-Minibusz desk and tell the assistant that you come to the EU Presidency Conference on the European Qualifications Framework. The AirportShuttle-Minibusz hostess will accompany you to the bus which takes you to the hotel. This is an exclusive service of AirportShuttle-Minibusz for the delegates to the EU Presidency events of Hungary. In Hungary 10% tipping is usual for taxi drivers. Weather may be almost like summer with many warm and sunny and some really hot days. You can even go bathing on some days and sit in outdoor places in the evening at this time of the year in Hungary. 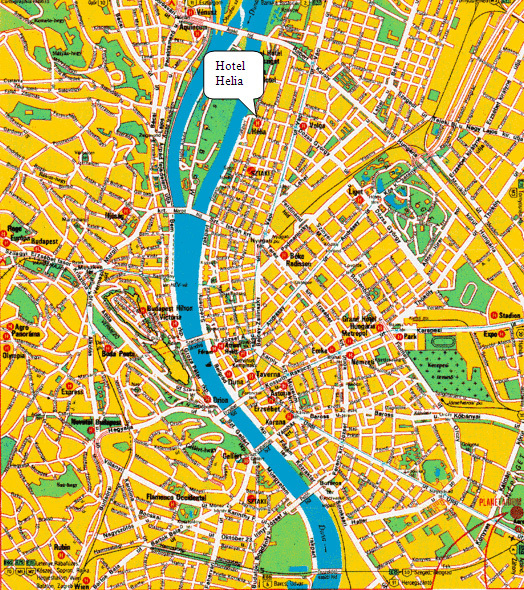 Budapest has an efficient public transport network made up of more than 180 bus, trolleybus, 29 tram and 3 metro lines. Generally the buses, trams and trolleybuses operate between 4.30 a.m. and 11 p.m. Public transport tickets generally must be purchased in advance. Single tickets can usually be purchased at newspaper kiosks, tobacco shops, and all kinds of tickets are available at underground METRO stations (marked M) or in BKV (Budapest Transports Limited) sales offices. The pre-purchased single tickets have to be validated on the buses, trams and underground (metro) stations. A single ticket is usually valid per access in Budapest. One single ticket costs 320HUF. The Hungarian currency is the Forint. There are coins of 5, 10, 20, 50, 100 and 200 HUF and banknotes of 500, 1000, 2000, 5000, 10000 and 20000 in Hungary. Exchanging money is strongly recommended in licensed places. Do not take the risk of changing money in the street! You can change money at the reception of the hotel, but probably the rate is much better at one of the change-booths of the city centre. Major credit cards are widely accepted in Hungary. 1 EUR is approx. 280 Hungarian Forints (HUF).